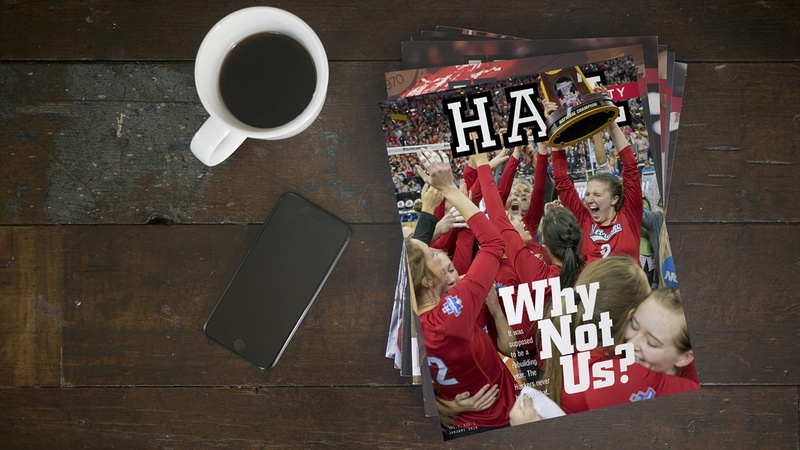 The seventh volume of Hail Varsity kicks off the best way possible as Nebraska’s fifth national championship in volleyball takes center stage. The Huskers’ run to Kansas City and the title is broken down in detail in the latest issue, which ships to subscribers and newsstands this week. Terry Pettit’s one-of-a-kind evaluation of “Why Nebraska Won.” The former Nebraska volleyball coach, a national champion in 1995, provides expert analysis on just what it took for Nebraska to claim the crown and how the Huskers did it. 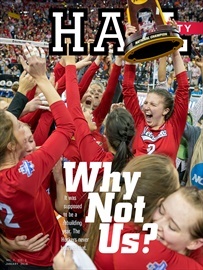 Volume 7 Issue 1 of Hail Varsity hits newsstands this week. Managing editor Brandon Vogel pens on “Nemesis Theory.” Does it help very good teams become great to have a rival? It’s working for Nebraska volleyball when it comes to playing Penn State, but that’s not the only example supporting this theory in Husker history. Staff writer Jacob Padilla takes a historical look at one of the greatest athletes to wear a Nebraska uniform: setter Kelly Hunter. Founder, CEO and ace photographer Aaron Babcock shares what the Huskers’ two wins in the Final Four looked like through his lens. Editor Mike Babcock shares a remarkable story of how former Husker Bryan Pruitt drove through the night from Illinois to Lincoln to be there for Scott Frost’s introductory press conference. Pruitt, a letter winner in 1993 and 1994, now commands the Illinois State Police Special Operation Command SWAT Teams in addition to coaching defensive line for Glenwood High School. Recruiting Analyst Greg Smith recaps how the early signing period went for Nebraska. We expect demand to be high for this one on the newsstands, so make sure you don’t miss out by subscribing today.